It is common for us to be subjected to stress. We have different ways in coping up with it. Some people are resorting to bad habits such as smoking as their way to release their tension. That is how smokers claimed as smoking reduces their stress level and calm their nerves. According to Tobacco Research and Intervention Program, people becomes addicted to smoking because it gives them deserved break, feeling a sense of camaraderie to other smoker colleagues, and relieving their nicotine withdrawal syndromes. Nonetheless, that is somehow different on the new research found that smoking only induces an opposite effect: increasing the anxiety and stress level. Therefore, the aim of this piece of article is to persuade our readers to change their view on smoking with an attempt to lay all the possible ways to shift to healthier option, rather than smoking whenever stress attacks their body system. The revelation comes from the health experts and researches from London School of Medicine and Dentistry after some conclusive evaluation to 469 people who were hospitalized for heart disease after quitting their vice of smoking. During the initial stage of study, all the participants are found to have similar stress levels and assuming that smoking can help them to reduce stress. This is based on the statement of 85% of the population who claimed that smoking helped them cope up with stress. After one year of study, they found that those participants who did not stop smoking saw no significant improvement on their stress level. Nevertheless, the participants who totally abstained from smoking reduced their stress levels for about 20%. Based on their conclusion, the lulls in between smokes contribute to stress because of the cravings to have another cigarette and that desire is considered to be the cause of mental strain. Therefore, the dependency and cravings on cigarettes is the chronic source of stress the chronic stress level can go down after smokers kick the habit of smoking. Based on your own observation, notice the chain smokers attitude when you deprive them to smoke, they tend to feel more nervous, uncomfortable, and irritable. Whenever you give them their pacifier, the cigarette, they become pacified and at ease, only for the time being. That is exactly how researches described the smokers who erroneously assume that smoking is their way to release their tension. The feeling of relieve is only temporary and anxiety attacks once the smoker feels the urge of smoking once again. Stress can have different manifestations to other people and can relate to many other things. It refers to environmental events that activate our body to react. These stressors can be our environment (economic pressure, technological advances, social change, hazard work environment, etc. ), or within ourselves (unrealistic expectations, personality patterns, way of thinking and acting, unmet needs, etc). On the other hand, according to Dr. Hans Selye and other researchers, they define stress as a bodily state rather than a certain event in the environment or what we called stressor. Meaning, it is our body’s natural response to stress that we feel the tension. Some stress can be positive which can lead to meet life’s challenges, but most often than not, stress can also results to emotional and psychological disorders. With this regard, most people associate their stress with smoking. But on the contrary, smoking is merely an illusion for people who view smoking as their tool to manage stress without realizing the tremendous effect of the cigarette to their state of health. The consequence is not only increasing their stress level, but most importantly to their overall sense of well being, including their physical and mental health as well. Imagine that their brain works different from their body reaction: heart rate increases, blood pressure rises, tense muscles, blood vessels constrict, and less oxygen supplied to the brain. Take note how proper supply of oxygen is essential in order for our body to function well. Unfortunately, smoking becomes part of the lifestyle of people who are overly exposed to stress and their body cannot get rid of all the toxins and acidic waste products that build and generate causing to premature aging. Yes, life style factor is indeed affecting the acidity of the body and smoking, in particular, can damage the stomach lining which leads to acidity. What most people are not aware of is that acidity is one of the world wide problems leading to various diseases and life threatening diseases. Smoking can damage all parts of the digestive system which contribute to common disorders such as heartburn, peptic ulcers, Chiron’s disease and many more. It is never too late to quit smoking. A clean break from allowing smoking every now and then is encouraged. Addiction to nicotine is reactivated, even after years of quitting. Start by cutting down the number of stick you consume for a day. As much as possible, refrain going out to smoking places where you used to be, and assess yourself as to how you can manage your stress without smoking. You may also inquire within your locality or community any support group services that can help you quit from smoking. There are trained advisers who can give you treatment on beating the cravings like nicotine patches, gum or other prescriptions. In addition, there are various healthier alternatives other than smoking in handling stress. You may want to consider the following suggestions commonly given by health practitioners. Change your perspective – Be more positive, especially toward changes in life. Do not worry about things you have no control and work things out in positive outlook. Do not hesitate to ask assistance and morale support from family, friends, and professionals. Effective means of relieving stress is through breathing exercise – Allow some quiet time for yourself, even for few minutes to meditate. Take a warm bath to relax and de-stress. Find time to go to a spa and have full body massage to ease the tension in body muscles. Exercise regularly and get away from stress through various group sports, social events, and hobbies. Exercise improves blood circulation and releases endorphins that make a person feel relax and refresh. 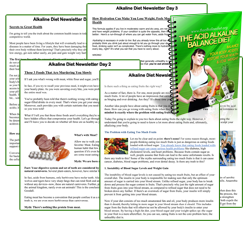 Furthermore, exercise tends to restore the pH balance of the body and make it more alkaline. Drink more water for detoxification and keeping yourself hydrated. Cut out the amount of caffeine after you decided to quit smoking because it would only make you feel more uneasy. Smoking depletes many essential nutrients in your body and in order to take health rebound, eat well and balanced diet to flush the unwanted toxins out of the system. Reverse aging process, as one of the causes of smoking. 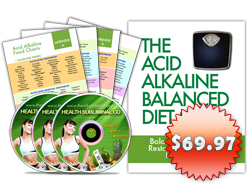 The best and natural way to do this is through alkaline diet. More fruits and vegetables, less fat, meat, and dairy products. 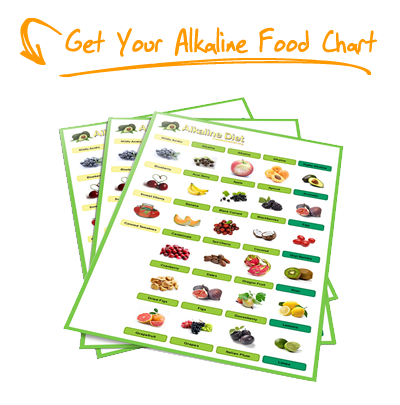 Know which food can contribute to acidic elements that destroy healthy body cells, and change diet plans by eating alkaline foods. The painful phases of recovery create stress to smoker and preparation is the first step to deal with coping up. Healing the mind and managing emotions when dealing with the loss of nicotine is where the real work of getting away from the vice of smoking; and this is where cessation lies. The total release from nicotine addiction can be replaced with newer and healthier choice. The suffering from cravings is short-lived and you can survive one day at a time. What you cannot outlive is to endure the life threatening diseases that smoking can pose to your health.